Prymat company is one of the key producers of spices in Poland which supplies the highest quality products with original and intense aroma. The firm was established in 1983. At the beginning the company produced spices and food concentrates. With time, thanks to specializations and intensive work, Prymat has become a more dynamic company. Nowadays it is the flagship of the food industry and the largest Polish producer of spices. Prymat Group is known, first of all, because of two well recognized brands such as Prymat, Smak and Kucharek. Prymat brand offers among others uniform spices, spice blends, mustards, marinades and salad dressings. Kucharek brand is the producer of one of the most popular universal seasonings in Poland. The enterprise owns the brands: Prymat, Kucharek, Smak, Asta and GastroLine. Prymat is a strong and valued brand, recognizable due to its originality and high quality of the offered seasonings. It has been present in the Polish market since 1995. Currently, its spices can be found in almost each Polish kitchen. Prymat offers both uniform spices, as well as, special spice blends. Its products assortment includes grill spices, instant and liquid marinades, instant and liquid salad dressings, breadcrumbs and coatings, food additives, as well as, mustards. Development of consumers’ culinary awareness and the growing interest in the culinary subject matter promotes the use of spices in home cooking. However, several years ago people commonly used especially pepper, salt, bay leaves and allspice in our country. 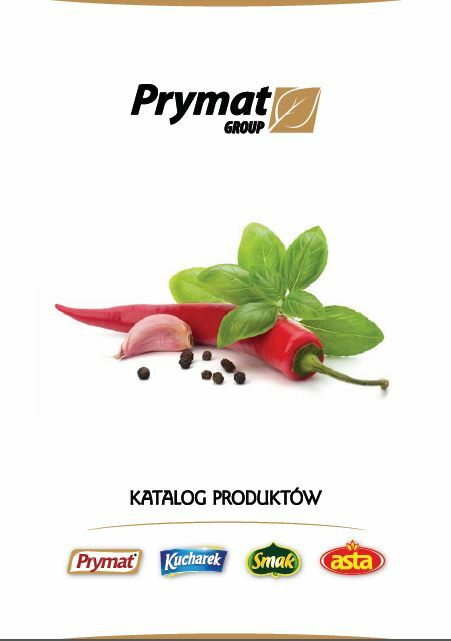 Nowadays, thanks to Prymat brand, the culinary preferences of Poles have significantly changed. At Polish homes people love experimenting in the kitchen, looking for new, attractive ideas for tasty dishes and products which make cooking easier. Cooking is increasingly becoming a hobby and a popular form of spending time with friends and family. Poles, thanks to traveling around the world, not only get to know the cuisine of other nations but they also eagerly introduce such specialities to the Polish cuisine. As a result thereof, they look for products which can offer tastes experienced during the journey, which guarantee a perfect result and original flavour of meals. guaranteed by the largest producer of spices in Poland. 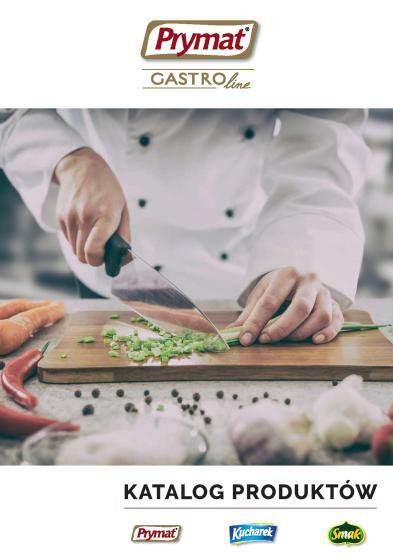 For cooks and master chefs, Prymat GASTROline offers a full range of pure spices, specialty spice blends, and food additives under the Prymat brand name. Kucharek GASTROline offers universal spice mixes, while under the brand name Smak professional chefs can find a wide range of processed vegetable products. Prymat GASTROline consists of full, rich pure spices, sophisticated combinations of specialised spice blends and all essential food additives from one of the most popular brands of spices in Poland: Prymat. There are also products from the Kucharek brand ‒ not only the most popular universal spice mix in Poland, valued by the consumer mass market, but also a range of complementary products such as soups, broths and liquid seasonings. Prymat GASTROline also includes products from the Smak GASTROline brand, among which professional chefs will find a wide range of processed vegetable products, from cucumbers, horseradish, garlic, mushrooms and cabbage to marinated vegetables and beets. Smak brand has existed since 1979 and specializes in fruit and vegetable processing. The production plant is in Żory, a town located near the border with the Czech Republic. Smak products received numerous awards at various competitions both in Poland, as well as, abroad. The most important of them are: Polish Promotional Emblem “Poland Now” reward, Polagra Food Golden Medal reward and the title of the Outstanding Polish Exporter. All raw ingredients and intermediates provided to the company are tested in the factory laboratory and the production is carried out on the basis of traditional recipes with the use of modern technologies and the machine park. ‘To Naturalne’ organic spices are created exclusively from natural ingredients. They have no added salt, colorants or artificial additives. The raw materials originate from organic farms, where no chemical substances or GMO are used, and the soil in which the plants grow is clean. A guarantee that the product is organic is provided only by the EU logo for Organic Agriculture (the so-called Euro-leaf). The use of the Euro-leaf logo is obligatory on organic food products which have been produced within the EU, therefore also on products of the ‘To Naturalne’ brand. Prymat Group also offers a low-cost brand of spices, bouillon cubes and food concentrates named Asta. This brand offers a wide range of products for people who love delicious home-made dishes.